I started with a Free Trial (you just pay shipping) and was able to try out the Diapers & Wipes Bundle and Essentials Bundle for just $4.95 (this was more than two years ago -- shipping now costs $5.95 and some of the products included are different). I would definitely recommend this. I cancelled our "auto-ship" membership immediately after trying the diapers (read why below) but was really happy when they later offered items for sale apart from the monthly membership (which they still do). They also now offer a Free Trial of the Health & Wellness Bundle, which I may do when I get pregnant again. Wipes: Their wipes are thick, which really comes in handy when you have a squirming toddler with a big bowel movement (my life right now). I like how the 10-count travel packs fit nicely in my purse compared to other brand's thick packs of travel wipes, but I wish they came out of the package easier. We also use Huggies Natural Care Wipes. Face + Body Lotion: Rooney loves to rub this on her cheeks and belly. It's so nice to have beauty products that kids can apply themselves without having to worry about the toxins they are exposed to. We use coconut oil most of the time for moisturizing (per her pediatrician's recommendation after diagnosing her with eczema), but this lotion is great if you prefer a lotion. Shampoo + Body Wash: This is a great combination wash for kids when you don't want the yucky ingredients in Johnson & Johnson. 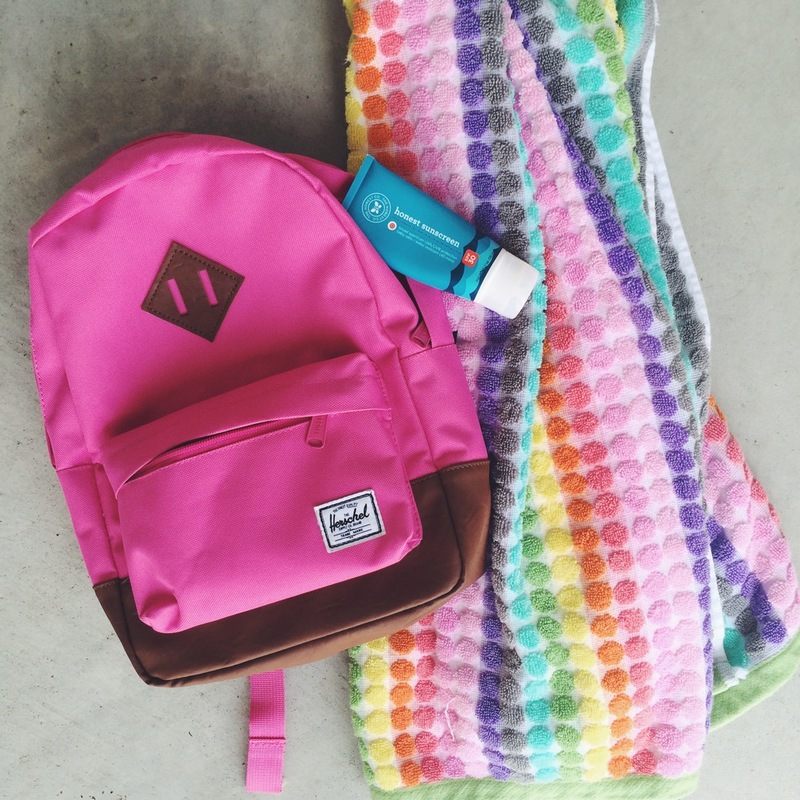 We have the trial size and it's perfect for bringing to the pool or when traveling! Healing Balm: This might actually be my all-time favorite product. Great for diaper rash or scrapes or dry skin or even chapped lips! Hand Sanitizer Spray: I hate having dirty hands but I also hate hand sanitizer. That is, until I met the spray version. I like it for kids because you can spray it all over their hands and not rely on them to actually get it rubbed all over. It's still not as awesome as actually washing your hands, but is way better than the gel. Oftentimes we go straight from the playground to dinner, so I spray this generously on Roo's hands and she loves to rub it in. Very refreshing! Fruit + Veggie Wash: I can't say enough about this product. Rooney loves to get up in her Learning Tower and help me wash strawberries or celery, and I don't worry at all about this getting on her. However, at $6.99, I'm wanting to compare this to the Trader Joe's version at $3.99. Has anyone tried that? Sunscreen: I've been using this sunscreen for the past two summers and love that I don't have to worry about what is being put on our skin on a daily basis. They also just came out with a spray version that we can't wait to try! I also may make my own sunscreen with essentials oil to compare the two. Kid's Toothpaste: I send this strawberry-flavored toothpaste to daycare for Rooney. She will use any toothpaste, but I love this natural option. For home, I recently ordered her a toothpaste with essential oils from Young Living that she also loves! However, I do think next time I will buy her a natural brand with added fluoride. If you want a fluoride-free option, I would recommend either Honest or Young Living. Multi-Surface Cleaner: This can be used on anything (I've only used it on our toilet so far), but I think it would be especially great for toys! Rooney even helped me spray the toilet, and I didn't have to be freaked out about her getting it on herself. Conditioning Detangler: This is one of the newest products we've tried, and we LOVE it (I was convinced to try it after reading Kerry's review). Rooney's hair is just getting long to enough to be tangled after a bath, so this is now part of our bath night routine. The Conditioning Mist leaves her hair soft and even keeps it a little curlier than usual. Highly recommend, although this is the first product of the sort that we have tried, so I can't compare to other brands. Dryer Cloths: This is the worst product I have tried from Honest. Our clothes were left static-y, even if I put multiple cloths in the dryer. I would not recommend this product. Diapers: I really wanted to like these, because the designs are adorable (I seriously can't get over the strawberries and skulls) and the ingredients are great, but we tried them when Roo was size 2 and weren't fans (they felt stiff to us, and Roo also seemed uncomfortable after going potty). Still, I hear from so many parents who love them. We use Pampers and love them, even though I wish we used a more natural alternative. I am not sure if they have changed their diaper formula since we tried them the first time, but I would like to try them again with our next kid, because all kids are different. Organic Cotton Dish Towels: These are pretty, but I'm not convinced they are a must-have. To me these are nothing special, but you might be interested if you need dish towels. Laundry Detergent: This was fine - it cleaned our clothes. But, I'm not sure it was any better than a clean + free detergent I can pick up at our local Target or grocery store. Hand Soap: Another product where I can't really tell if it's better than another product I can get locally for possibly cheaper (we use Method at home but I really want to try Mrs. Meyer's). Toothpaste: I liked this but I have since switched to Thieves toothpaste from Young Living. Be warned that the "Fresh Mint" flavor is nothing near as strong as what you will experience from a brand like Crest or Colgate. Stain Remover: To me, this was not more effective than any other stain remover I've tried. I tried this on a few tough stains, but it did not work at getting them out (neither had other brands). Dishwasher Pods: These work well. Not sure they are easier than using dishwashing gel or that they work better, but they got our dishes clean! Bug Spray: We simply haven't had a need for this since I bought it. We plan to use it this summer, and I also made my own using essential oils, to test them against each other. Do you love Honest? What do I need to try next? They are adding new products all the time! New to Honest? Use this link and code INVITED10 for $10 off your first order of $25 or more! P.S. Honest products are now available in some stores, such as Buy Buy Baby, Target, Nordstrom, Whole Foods and Costco!